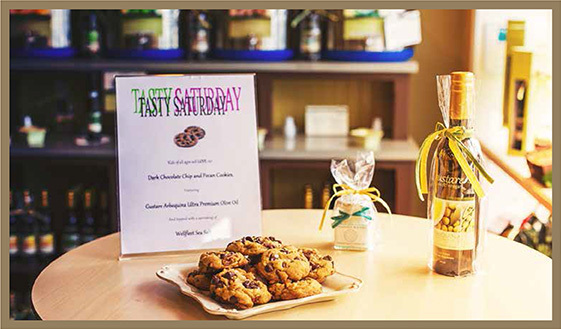 If you’re strolling Main Street Chatham in the early afternoon on most Sundays, be sure to pop into the tasting room for a sample of something delicious. Straight from the Test Kitchen, the samples highlight easy applications of Gustare extra virgin olive oils, traditional aged balsamic vinegars and other artisanal gourmet food products. Enjoy!